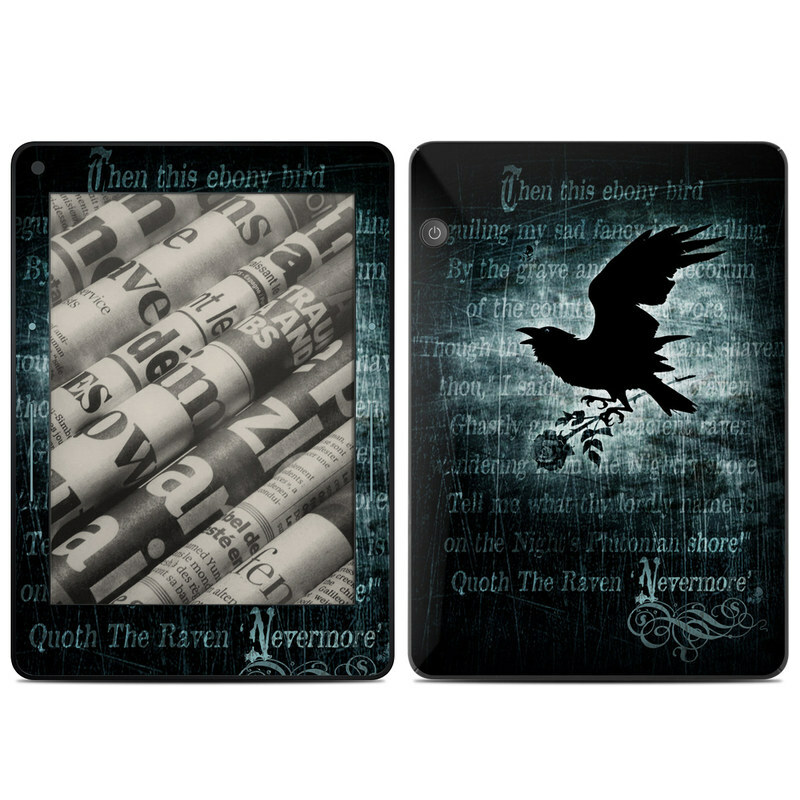 iStyles Amazon Kindle Voyage Skin design of Bird, Text, Wing, Graphic design, Darkness, Font, Illustration, Graphics with black, white, blue colors. Model AKVG-NVRMORE. 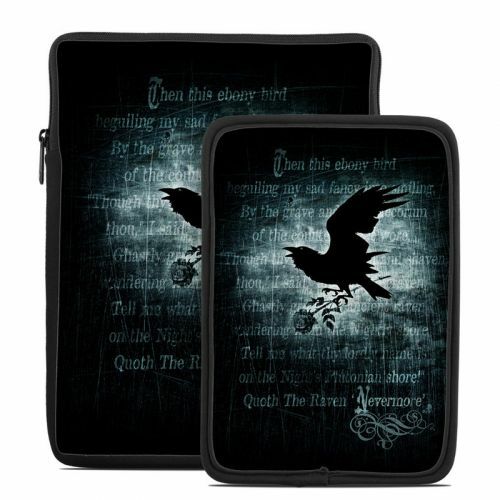 Added Nevermore Amazon Kindle Voyage Skin to your shopping cart.